Our Pool Care Software is simple to use and was designed for the home user. 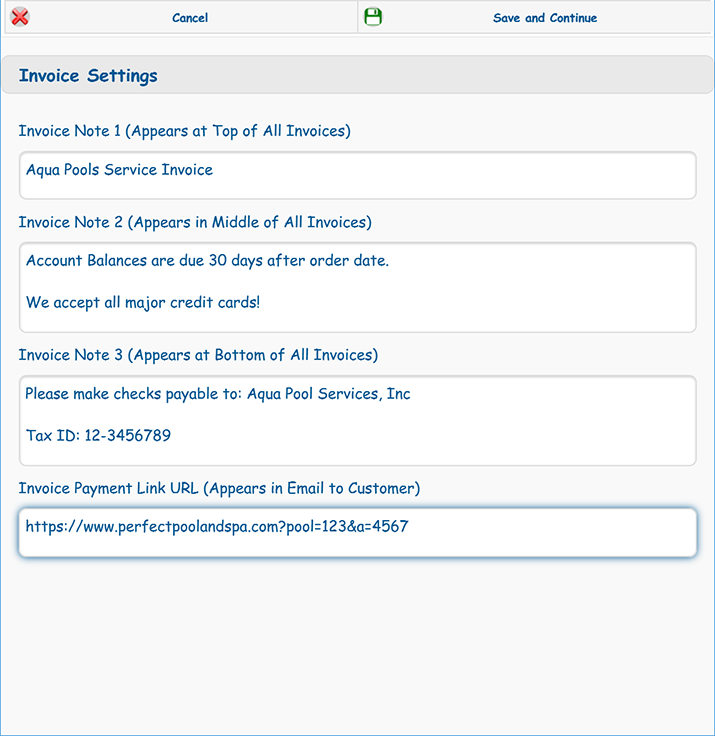 But we have added features specifically for pool service companies available at no additional charge. Create and email invoices to your customers in seconds! 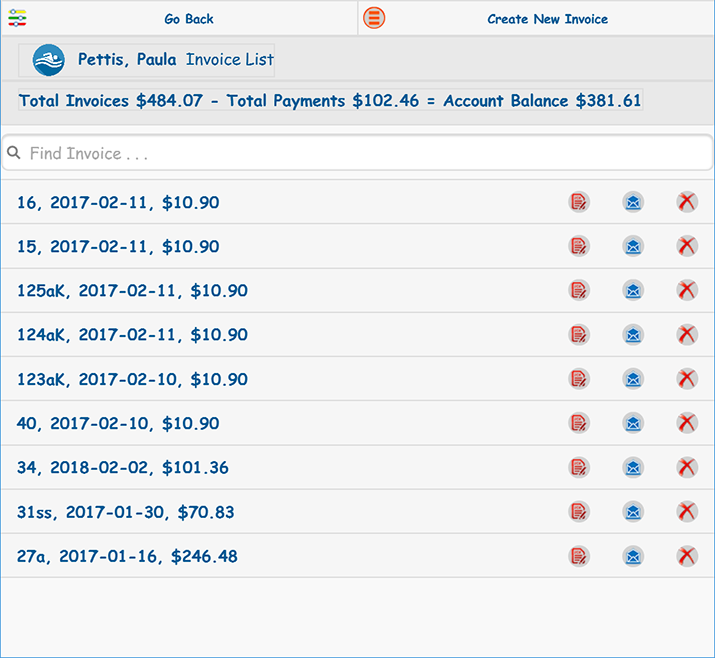 Track payments and account balances. Simple, fast and flexible setup. 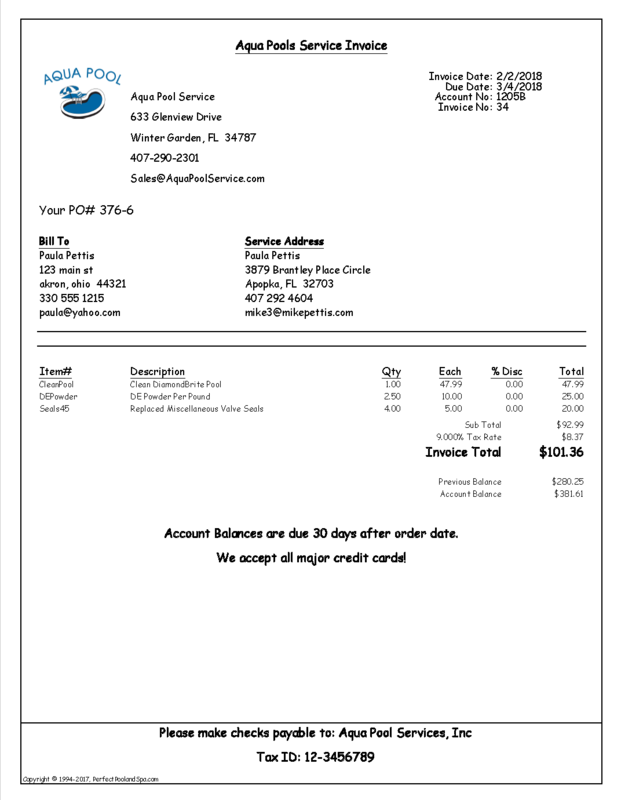 Custom invoices with your logo. Multiple users with restrictions. No charge per user. Unlimited items per invoice with ability to add discounts and sales tax. 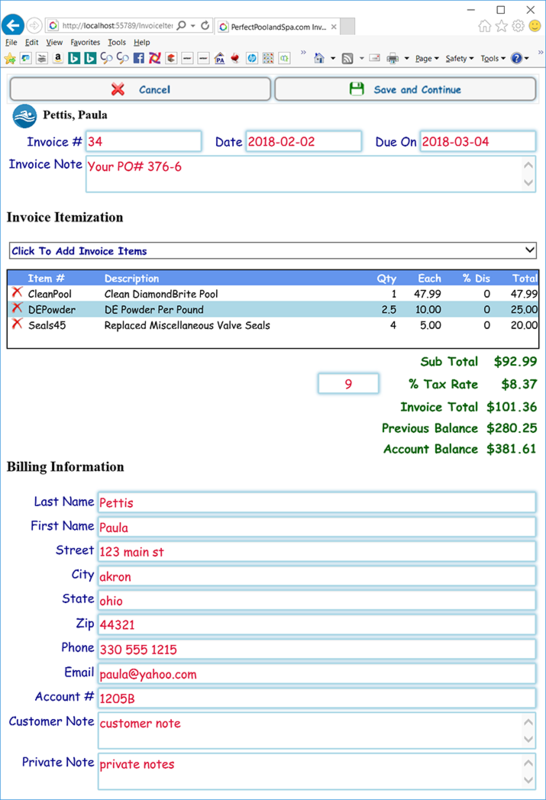 Add your own account numbers, invoice numbers, purchase order numbers and notes to each invoice. Send payment link to your customers for instant online payment. A complete solution for pool service companies. Multiple simultaneous access from all your devices! 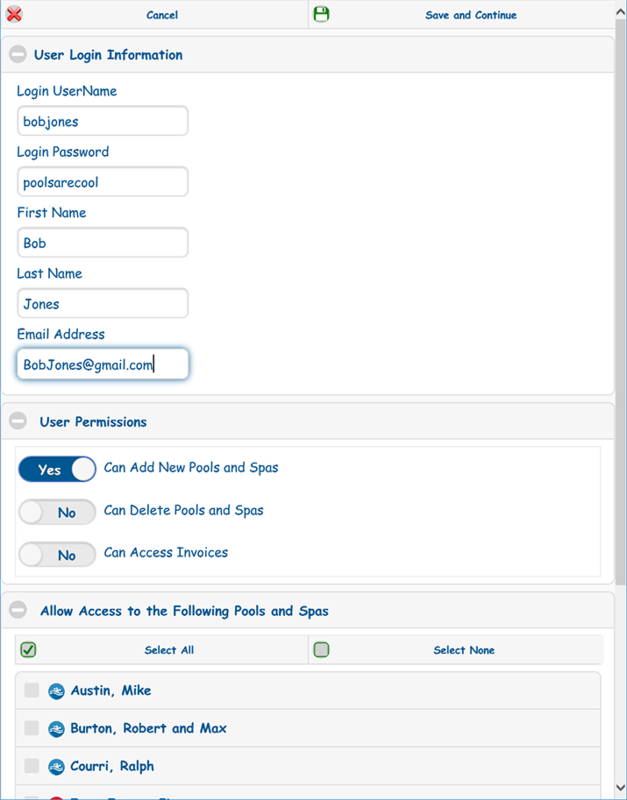 Create multiple logins for your account to allow others to access your pools and spas with restrictions. Instantly create invoices for your customers. List of invoices for this customer. Click to edit, view, print, email, delete or create a new invoice. Creating and editing invoices is simple, flexible and intuitive. The software remembers your past entries so you can quickly select a previously billed product, etc. Invoice numbers are auto incremented with a new number but you can change them to any format. There is no limit to the number of invoices or the number of items on each invoice. 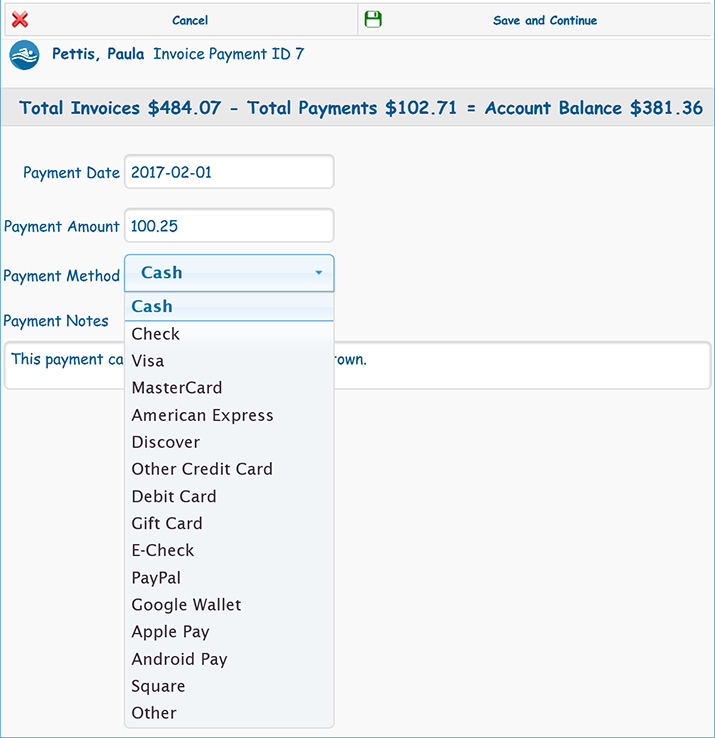 Enter payments, payment methods and payment notes. Simple invoice set up. The notes you add here are displayed on the invoice. Your custom logo is entered in Program Settings. The payment link is sent along with the invoice via email to your customer. The software appends your customer account number to the link so customers can pay online.